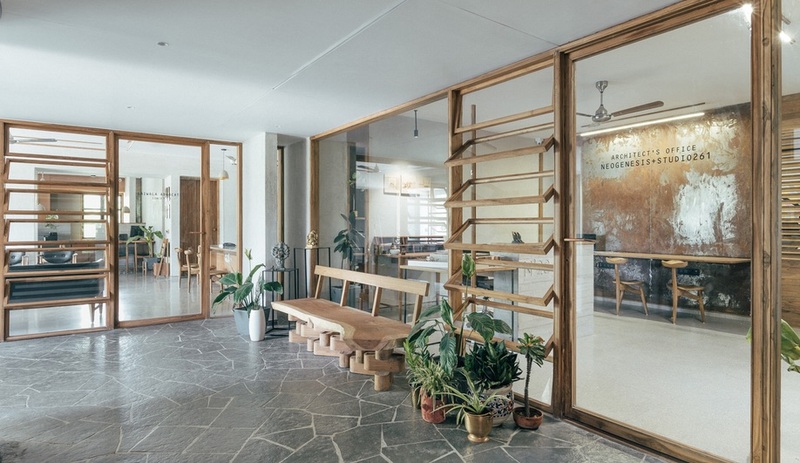 Standing in the foyer outside the third-floor headquarters of Laiwala Advocates, it’s no surprise that the space is shared with landscape architects. 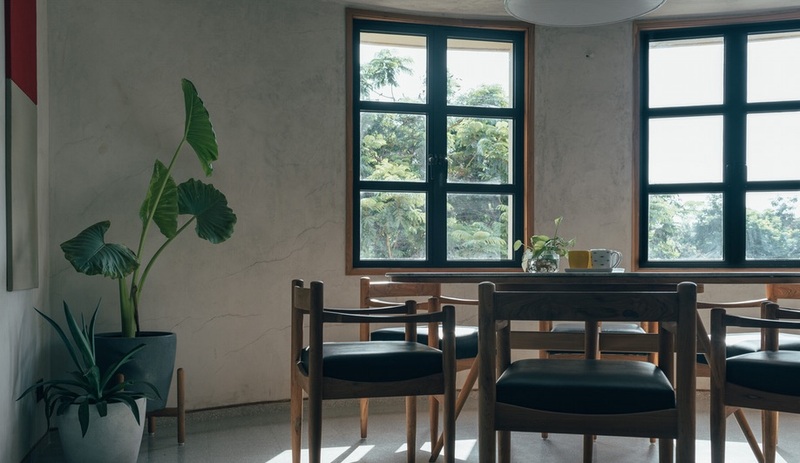 Though the offices – on the third floor of a newly constructed commercial building in Surat, India – are located in the heart of the city, they have the feeling of a jungle retreat. 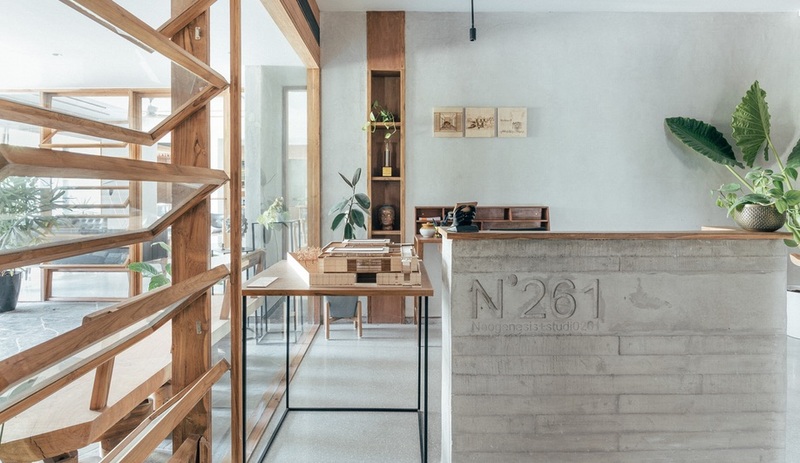 The floor hosts both Laiwala and multi-disciplinary firm Neogenesis + Studi0261. Though the architecture practice also places focus on urban design and interiors, it’s the landscape savvy that is evident from the moment visitors exit the stairwell on level three. 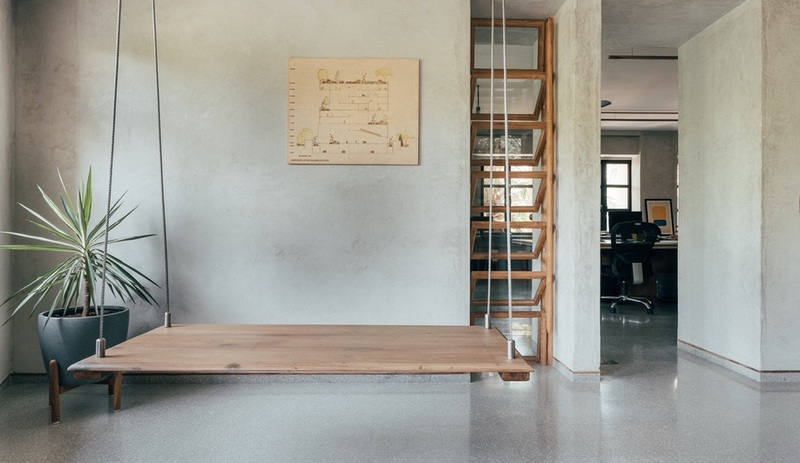 The space features a stone floor and a sliding glass wall that opens up to the outdoors and the thick treeline that wraps the building. 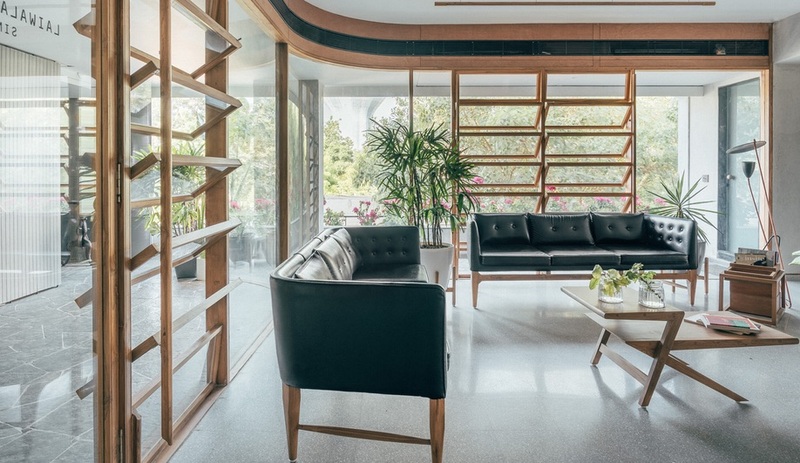 With the tree branches hugging the interior, and planters packed with flowers lining the ledge between, it feels like a ground level terrace deeply ensconced in nature, rather than a downtown office lobby. 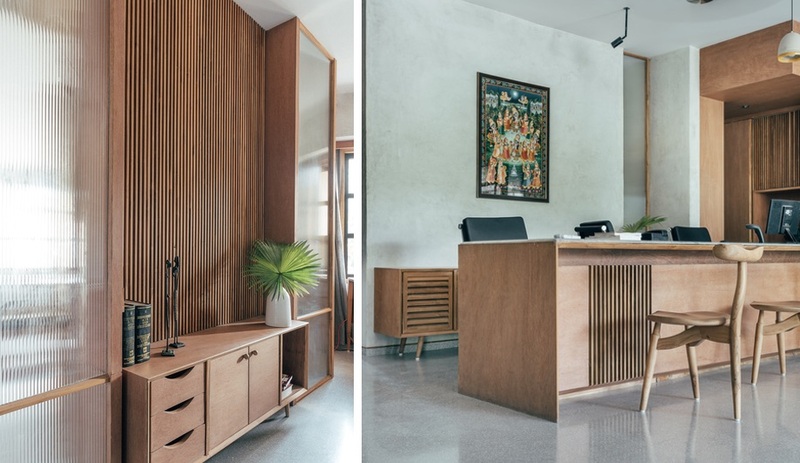 To design it’s own workspace, as well as the offices for the lawyers at Laiwala, Neogenesis + Studi0261 set out to create an environment that feels as comfortable as a home. Plenty of windows wrap the entire floor, overlooking the lush tree line. 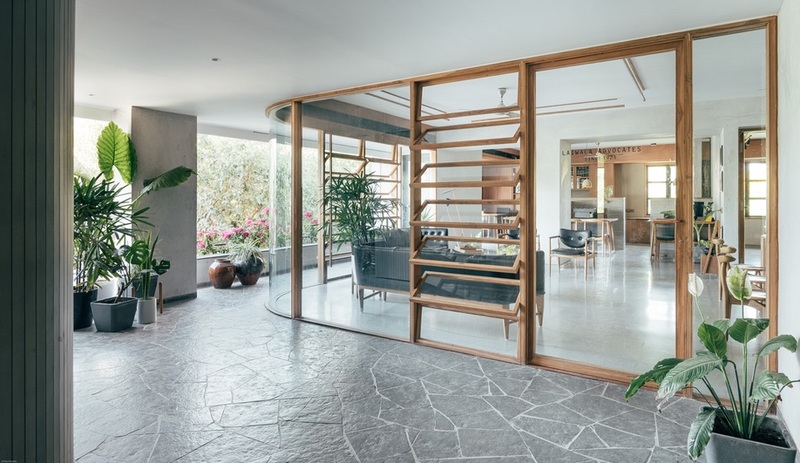 Plants positioned throughout both spaces draw the greenery into the core of the interior, strengthening the connection with the outside and the natural world. 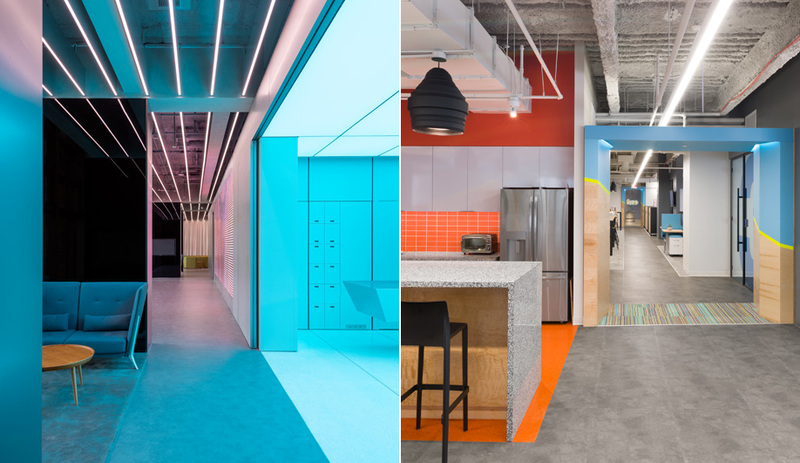 From the shared entrance (which also includes a kitchen that can be opened up with a moveable wood wall that slides around the corner to close off the stairwell) the two offices diverge using a common material palette to shape two distinctly different businesses. 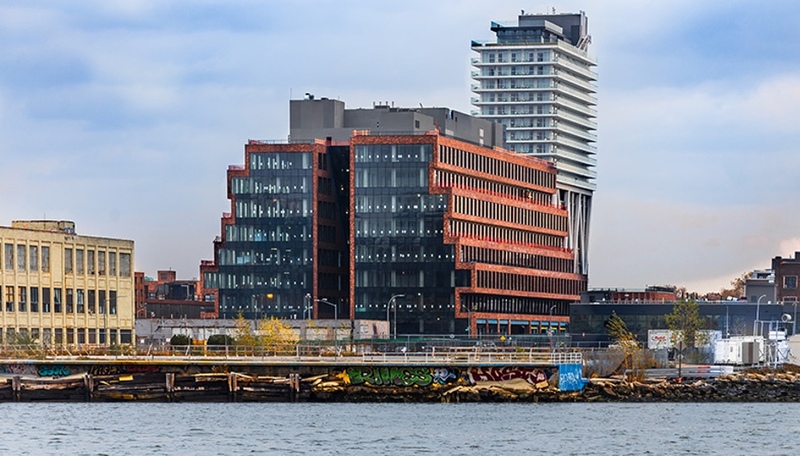 While each has a sun-lit waiting room – wrapped in curving glass walls – off the foyer, the legal office offers enclosed private offices for each partner to hold confidential meetings. 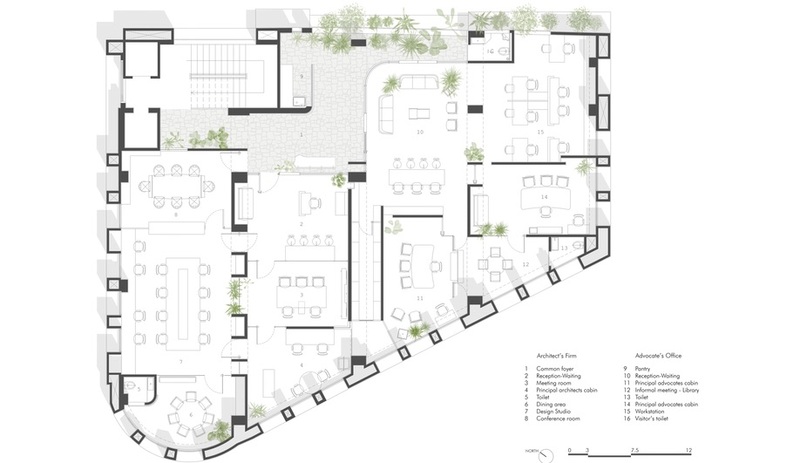 The architecture studio devotes a large amount of its floor plan to an open concept design studio, a space meant to foster creative collaboration among team members. 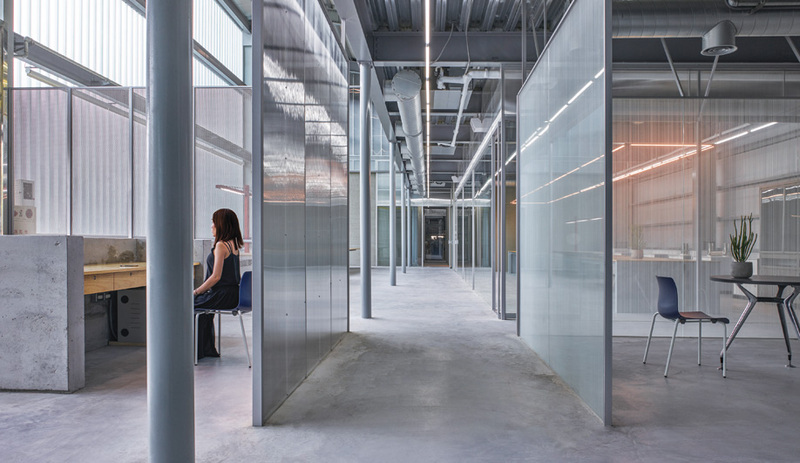 Though there are two private offices for the firm’s principals, common spaces have the lion’s share of the space. Despite these disparate layouts, the material palette is the same through the entire level. 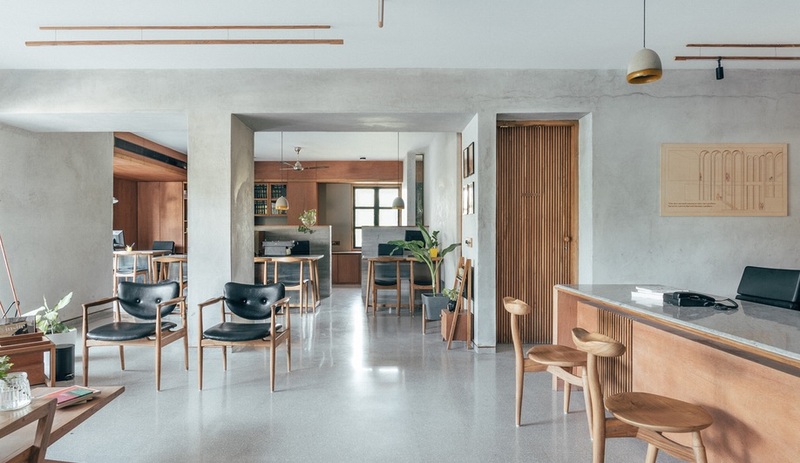 Grey and white terrazzo flooring evokes a pebbled beach and is complemented with soft grey limestone plaster walls. 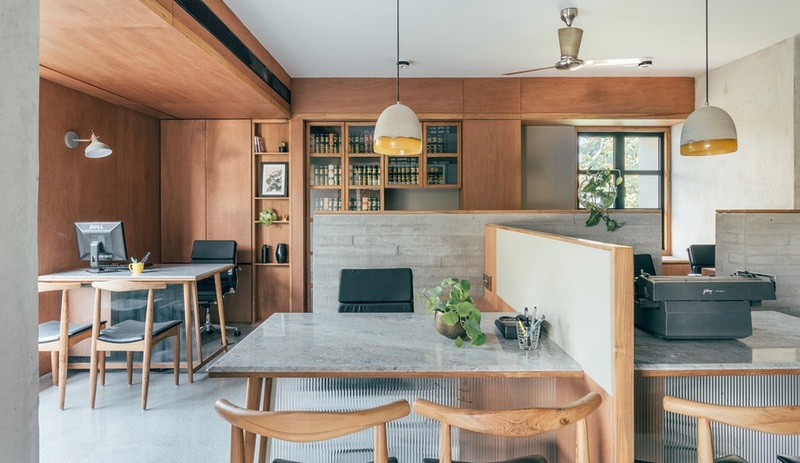 The limestone was chosen for its thermal properties and, along with a variety of operable windows and ceiling fans, enhances the thermal comfort in this hot and humid climate, without the use of air conditioning. 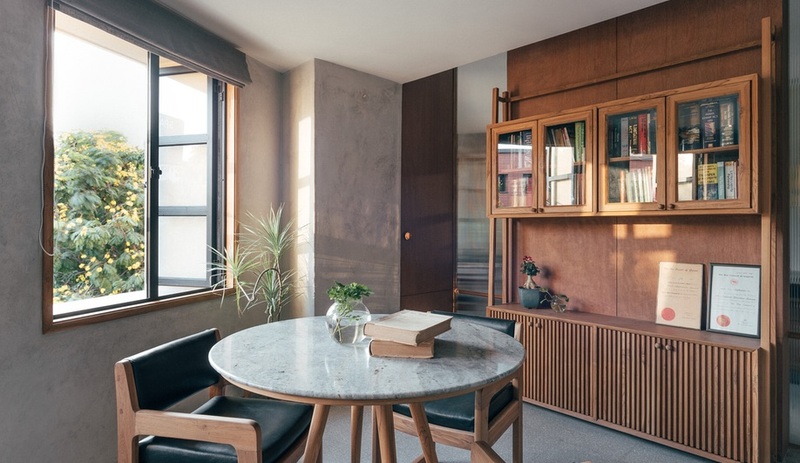 The third material dominating the project is wood, which is used for all of the furnishings, whether built-in or freestanding, as well as for doors, feature walls and to frame the windows. 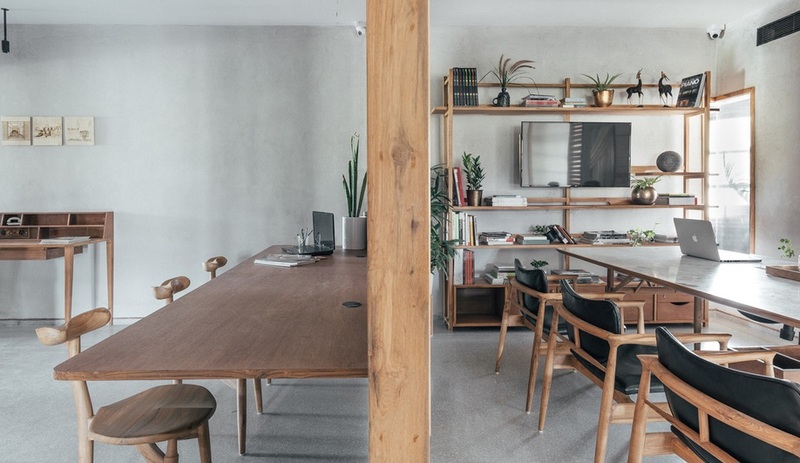 Much of the wood was reclaimed, adding to the sustainability of this unique oasis of a workspace.